Our archery program is intended for all participants to develop their archery skills while having fun and interacting with other archers. Archers will learn the basics of archery through form, aiming technique and the safety of archery while progressing to more advanced techniques. Archers will be able to put their skills to the test while participating in games and activities during the week. Archery equipment will be provided for the week. Participants may bring their own suitable equipment upon approval by the coaches. Archers will be supervised by Level III and Level II coaches. Attendance on the first day of class is mandatory. Students are encouraged to start every morning with a balanced meal. This will help them to have more energy, better concentration, and to stay alert throughout the day. Be sure to bring a sack lunch of nutritious foods daily, along with snacks and a full water bottle. A small refrigerator will be available for any foods that need to stay cold. Parents: please notify the coaches of any food allergies that your child may have. We highly recommend that food not be shared between the students. We require that all clothing be modest and appropriate. Shirts must fit comfortably. Exposure of bare midriff or bare back is prohibited. Shorts will need to be no shorter 5” from the top of kneecap. Closed toe shoes only please. Open-toed shoes, flip flops and sandals are unacceptable while participating at camp. 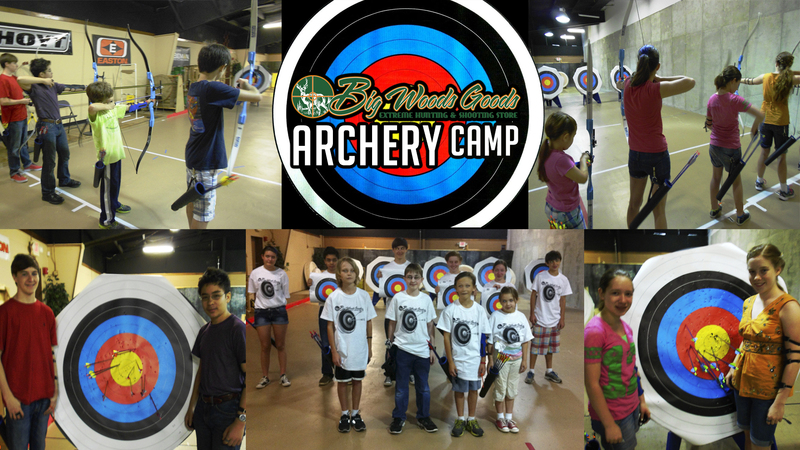 We will be rotating between the indoor and outdoor archery ranges each day. You will want to dress in layers for changing temperatures. Sunscreen is a must and applying periodically through the day is highly recommended. prior to first day of class to participate. Please bring your membership card on the first day of class. Camp schedule is Monday to Friday, 9:30am to 2:00pm each day.